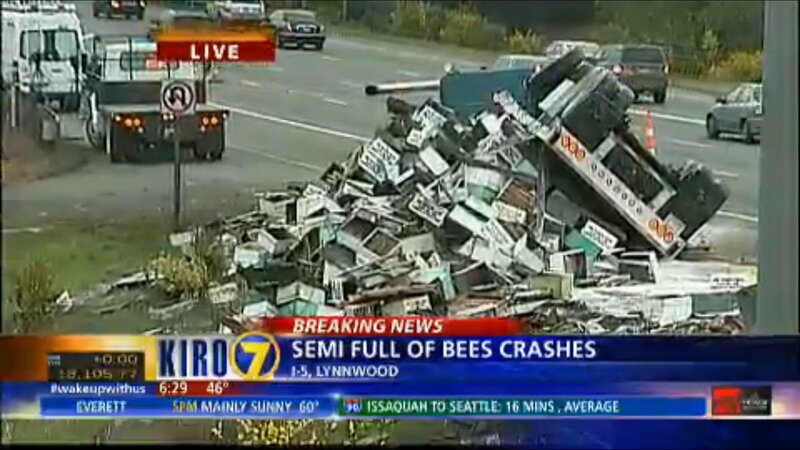 Early yesterday morning (local time), a tractor trailer overturned on I-5 in Lynwood, Washington littering the motorway with millions of angry off bees, KIRO 7 reports. Dang, this scene sounds like actual hell. According to Fox, the lorry blew a tyre, and lost control. 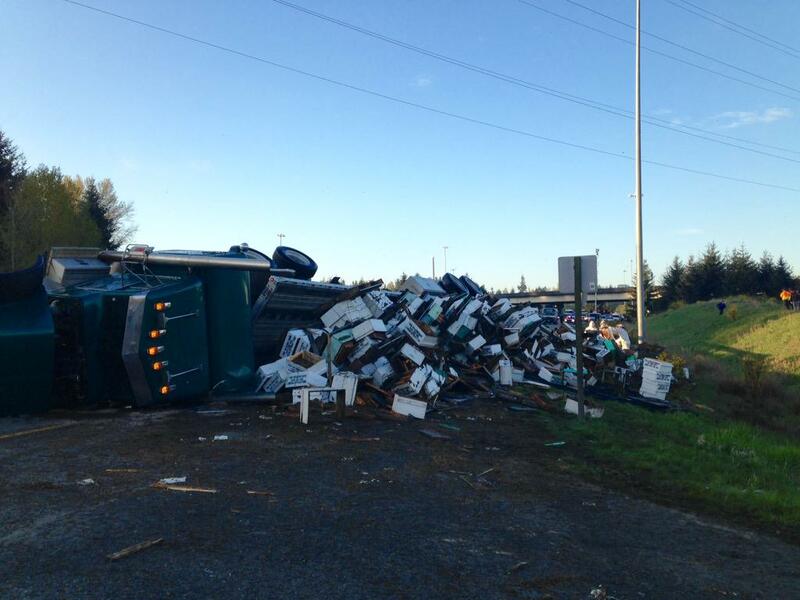 Boxes containing 448 honeycombs were thrown to the road. Luckily, we hear the driver is ok.
UGH. Where the hell did they get those bee keeper uniforms? Do they just have those around? Printer ink, cows, cash. what hasn’t ended up on the road thanks to a truck accident. Short of a hazardous chemical spill, I can’t think of anything worse than this stingy scene. I bet the bees are livid. Imagine, you’re buzzing in a weird box with 5000 of your friends while cruising 80 miles when all a sudden, your business gets wrecked.